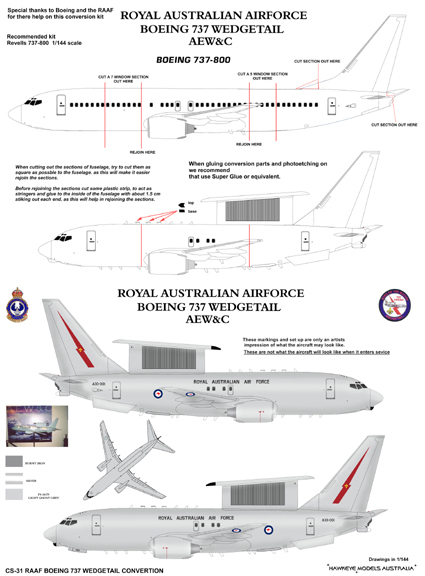 1/144 scale decal and resin conversion for Royal Australian Air Force Boeing 737 Airborne Early Warning & Control "Wedgetail". The resin parts comprise the main RADAR plinth, ' surfboard ' radome fairing and some SATCOM antennas. Radio antennas, ESM antennas and the aft ventral stabiliser fins are provided as Photo etch parts. * No.2 Squadron tail logo. * Serials A30-001, -002, -003, -004, -005, and -006. * Cabin windows and cockpit windscreen. * Some minor stencil data (refuelling aim marker and tow limit lines. 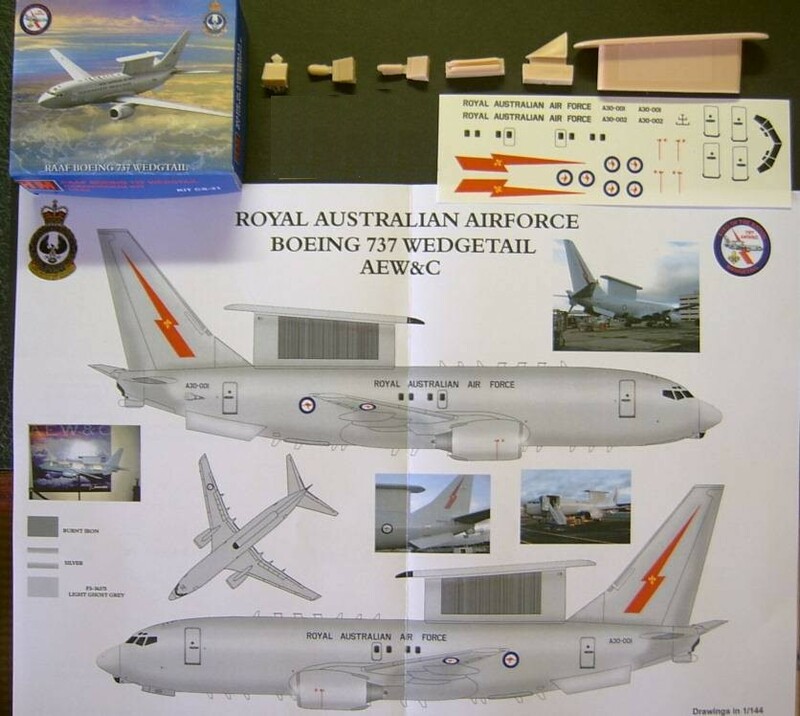 Suggested Kits; Revell Boeing 737-800. The 737/ES is based on a 737-700 fuselage. The instructions show the sections that need to be removed.